Ewan Donald leads KPMG’s UK regional Privacy Practice (covering businesses located outside of London). KPMG helps clients build and embed pragmatic governance frameworks, processes and controls to address complex multijurisdictional compliance and risk management challenges. The assessment and management of privacy, security, business and regulatory risks is a key focus of KPMG’s Privacy service offering. Ewan has supported a range of clients across various industry sectors in the UK. 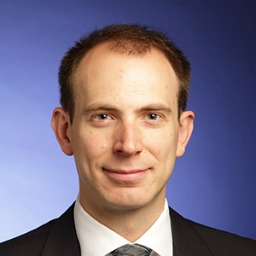 His main focus has been in Financial Services, Retail and Pharmaceuticals supporting major global businesses in embedding appropriate Privacy control environments and preparing for the General Data Protection Regulation (GDPR). This has included activities such as: implementing Privacy by Design practices, rolling out comprehensive training programmes and developing inventories of personal data processing activities. Prior to joining KPMG Ewan spent seven years at Barclays Wealth (the wealth management arm of Barclays bank) as the Data Protection Officer. This was a global role covering 17 countries across 5 continents. In this role, Ewan helped the organisation to manage Privacy risk through a period of significant business and regulatory change. He was responsible for defining and embedding the Target Operating Model for the Privacy function and in overseeing the provision of support and advice to the business. This included: supporting incident response; advising on major global outsourcing initiatives; and developing an appropriate framework of policies, standards and guidelines. In addition to supporting clients in managing Privacy risk, Ewan regularly delivers training, presents at seminars / conferences and authors articles. He has supported the creation of several thought leadership pieces for KPMG. Ewan holds a BSc (hons) in Computer Science and his professional credentials include: CISSP, CIPP/E, CIPT and CIPM.